This is such a frequently asked question that I decided to write a blog on it. Why is it not a number that can easily and simply be looked up? The answer lies in the fact that there are so many care providers offering a home birth service and that all their data are stored in different locations. That doesn’t sound as if it can be true right? So many home birth providers? In Ireland? Really? Read on . . . The main home birth service is operated under the auspices of the HSE and known as the National Home Birth Scheme. 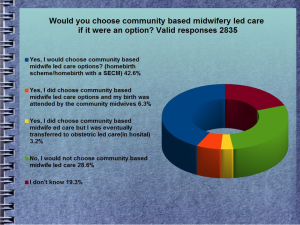 This is run on behalf of the HSE by Self Employed Community Midwives (SECMS), and since 2012 the service has been audited each year by the National Perinatal Epidemiology Centre (NPEC) in Cork. This service embodied what used to be the independent midwives and the Cork and Kerry Home Birth Scheme until September 2008. 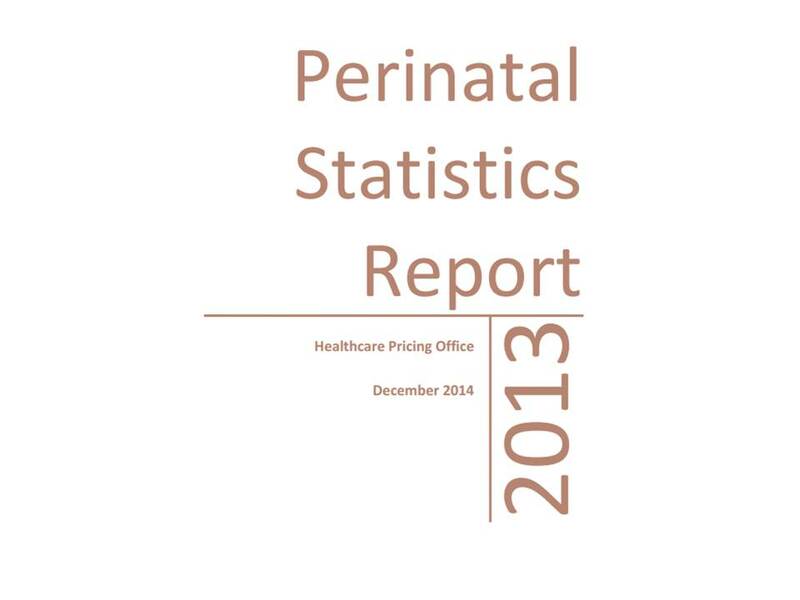 The total number of births from this service will also be listed in the total number of births collated as part of the National Perinatal Statistics Report now coordinated by the Health Pricing Office (HPO). The HPO figures for home births are always a little higher than the NPEC figures as they include all home births whether midwives were present or not, and whether they were working as SECMS or not. The second provider from which we have published data is the DOMINO home birth service coming out of the National Maternity Hospital (NMH). 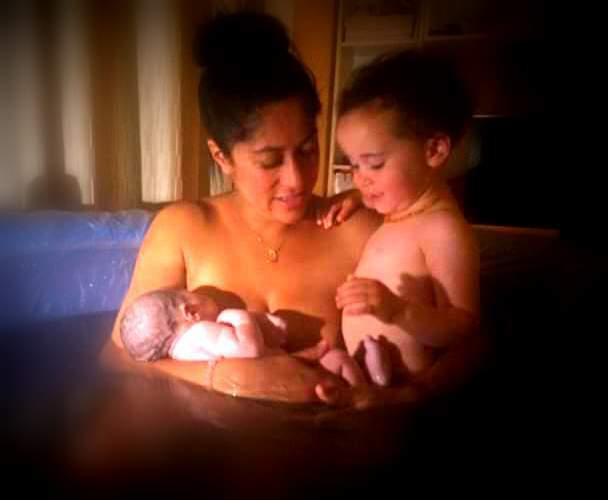 This home birth service has been running since 1999 and is part of the very successful community midwifery care provided from the hospital. The third provider is Waterford General Hospital. They have had a community midwifery service in place for a number of years and at one point were facilitating many home births a year. The fourth provider is Wexford General Hospital, They also have a community midwifery service in place and offer a DOMINO service. Again at one point they facilitated many home births each year. Last but not least is the private service provider UK Birth Centres. This UK based company provides a private home birth service through its sister marketing company in Ireland Neighbourhood Midwives and has been offering home births since August 2014. Its first home birth in the Republic was on 11th October 2014. So five different providers, but not one unified figure that encompasses all of the data from all of the services. 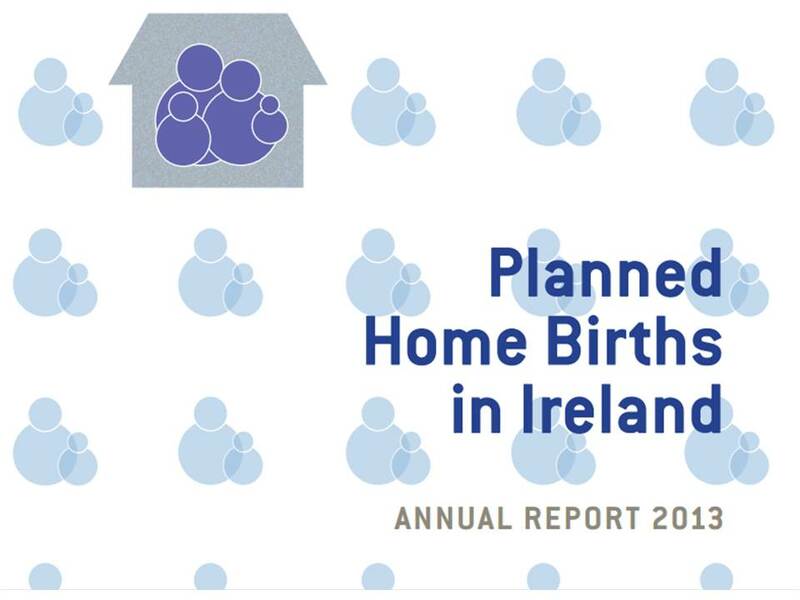 The HPO provide data from Part Three of the Birth Notification Forms filled out by all home birth midwives and NPEC provide a detailed audit on the National Home Birth Service run by the HSE whilst the NMH in turn provide data from their own home birth service. HOWEVER these data are not linked together in any way. Instead, the NMH home birth data are produced as part of the overall hospital report, and so an interested observer would need to be able to search the NMH annual report, and know to search it in order to find the NMH figure to add to the HPO/NPEC figure. 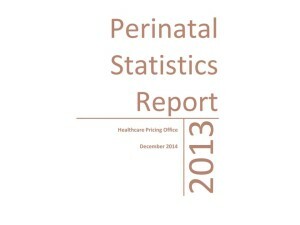 There are no publicly available figures from Waterford and Wexford, and finding out how many home births are facilitated there requires calling the appropriate DMOs (Designated Midwifery Officers) or requesting the information through an FOI request or asking the Department of Health. There are also no publicly available audits from UK Birth Centres at present. Even though Neighbourhood Midwives, the Irish sister company would be aware of the figures, they are not able to publicly release any audits as they do not technically own the data. However, the basic data of total numbers are available through the Department of Health and Children (DoHC) and in future years one assumes they will be reported by HPO via the Birth Notification Form that every home birth midwife has to fill in. So now maybe its becoming clearer , , , all these different sources need to be identified individually and then collated in some way. For 2013 the NMH data and the SECM data have both been released, for 2014 the NMH data have been released and for 2014/2015 the UK Birth Centre data have been estimated. It is therefore possible to make a guesstimate as to the total number of home births in Ireland from the most up to date data available. A composite total figure would be 277 if the NMH figures from 2013 are used, or 262 if the if the NMH figures from 2014 are used. The average of these two figures is 270. Whilst not exactly an absolute accurate figure, it is fair to assume that based on the most recently available data, an average of 270 babies are annually born at home in Ireland, which is nearly DOUBLE that which is regularly quoted by the press, academia the HSE and the DoHC alike. This also means that instead of home births accounting for 0.2% of the total number of births in Ireland, home births actually account for more like 0.4% of the total number of births in Ireland. If more resources could be provided for Wexford General Maternity there is no doubt that these figures would be greater again. 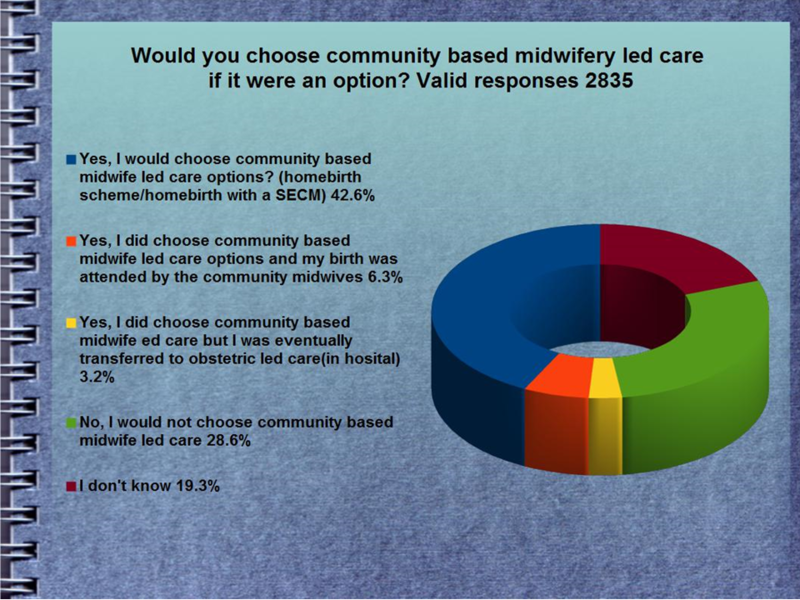 And lets not forget that in the recent AIMSI Survey #WMTY2014, with 2832 respondents found that 43.6% of respondents would choose community midwifery care (home birth with an SECM or hospital scheme) if it were available to them, so do not believe the stories that no one has a home birth or that no one wants to have on either! Note: The extra 7 births recorded by the HSE/HPO via Part 3 of the Birth Notification Form are probably accounted for by planned unassisted/free births.